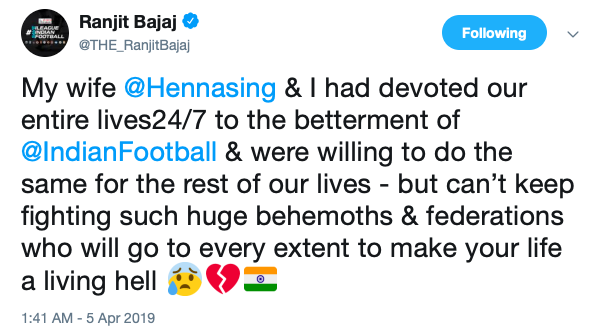 Ranjit Bajaj in a series of tweets has confirmed of the development. Indian football has received a massive setback today in the form of Minerva Punjab FC. The club is set to bring down the curtains and will stop all the activities from this day onwards. 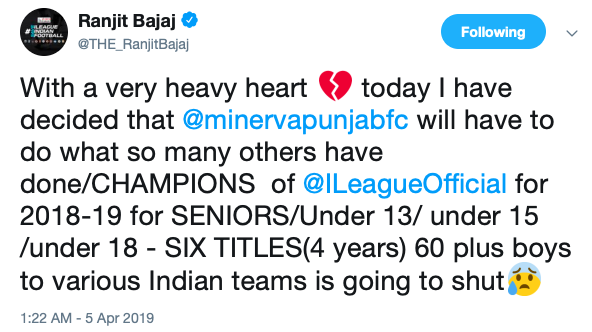 Minerva Punjab FC owner Ranjit Bajaj made a series of tweets in which he confirmed that the club will become defunct. 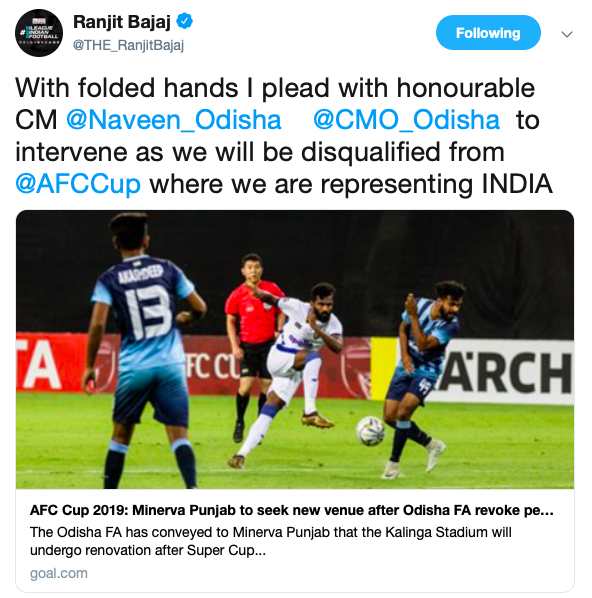 The reason behind this sudden shut down is likely due to the fact that the Odisha FA decided to withdraw the permission for the club to play its home matches at the Kalinga Stadium of Bhubhaneshwar in the AFC Cup. The Odisha FA cited scheduled renovation works of the stadium as the reason behind the revoking of the permission. 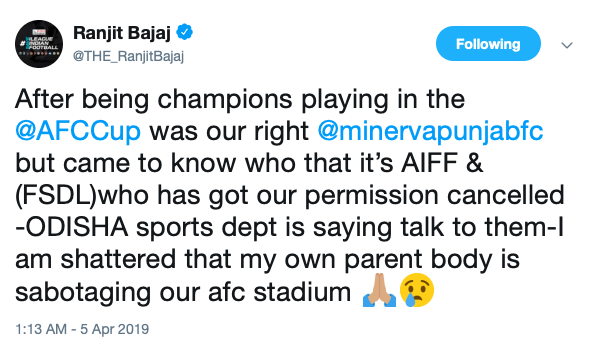 Minerva owner Ranjit Bajaj in his tweets pleaded the Odisha government to intervene in the matter. He also lashed out at the All India Football Federation (AIFF) and FSDL-Reliance. 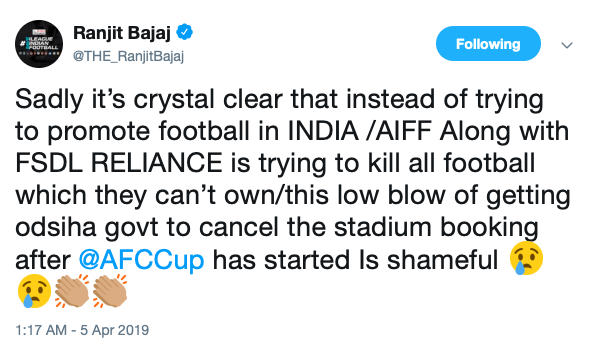 Ranjit Bajaj further said that with this sudden revoking it has become impossible for the club to find a new venue and that the club will be disqualified from the competition for this. With this the club will also probably stop fielding youth teams but may continue to run the academy. All remains to be seen in the official statement that will be released by the club.